The clear and detailed mapping in this bestselling Collins world atlas has been brought fully up-to-date to reflect all recent geopolitical changes. 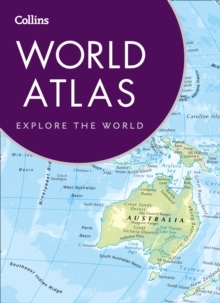 Great value and contains all the world maps you need in a budget atlas, for family, study and business use. Key features of this atlas include:* Fully revised, detailed reference maps of the world* Map of the world's countries and physical features* Introductory section includes facts on all the countries of the world, including flags, area, population, capital city, languages, religions and currency* Map of the world's time zones* Over 10,000 index entries A new, fully updated edition of this bestselling atlas of the world.